There are definite advantages to being a grown up. Good thing too as we all need something to make up for electricity bills, work and washing up! The ability to eat chocolate for breakfast whenever you like has to be one of the perks. 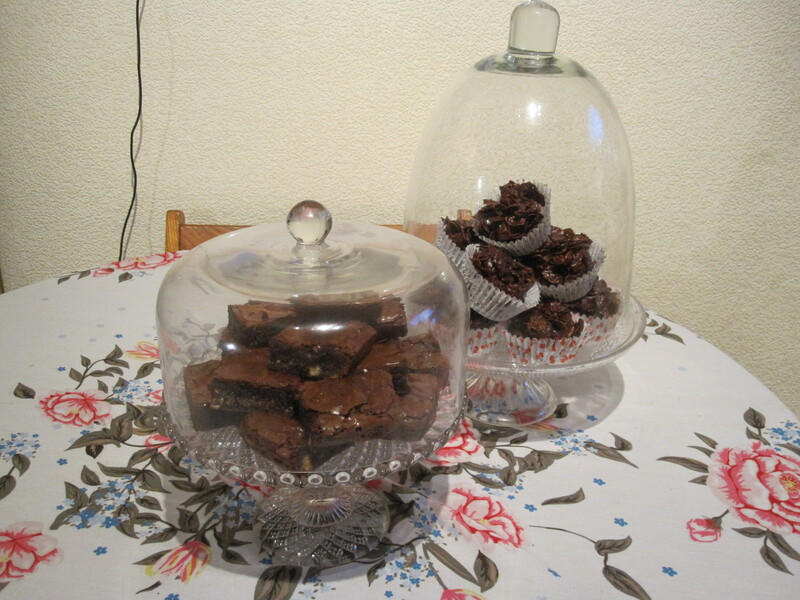 I was obviously in dire need of chocolate today as I now have piles of chocolate crispies and brownies to devour over the coming week! … it’s flour and water! Ta da! I told you it was simple. Well, I did over simplify a tiny bit… I add a pinch of salt too. It’s a quick meal and, if you wanted, you could make it a much more communal meal by using a fondue pot and letting everyone choose their own foods to dip in batter and fry fondue style. It’s a light and crispy batter but it is rather filling as it is deep fried. You can batter and fry just about anything (and the Scot in me seems to like this!) so give it a go! – Put the flour and salt in a small bowl and gradually add the water until you get a thick batter. – Don’t over mix, a few lumps are just fine. – Heat up a deep fat frier or deep pot of oil to about 180/190C. – Dip the veggie/prawn/fish in the batter to coat then pop it in the oil and fry for a few minutes until the batter is just golden. – Take out of the oil and drain well before serving. – Do this in small batches so as not to crowd the tempura and keep it warm once cooked in a bowl lined with kitchen paper to help it drain. 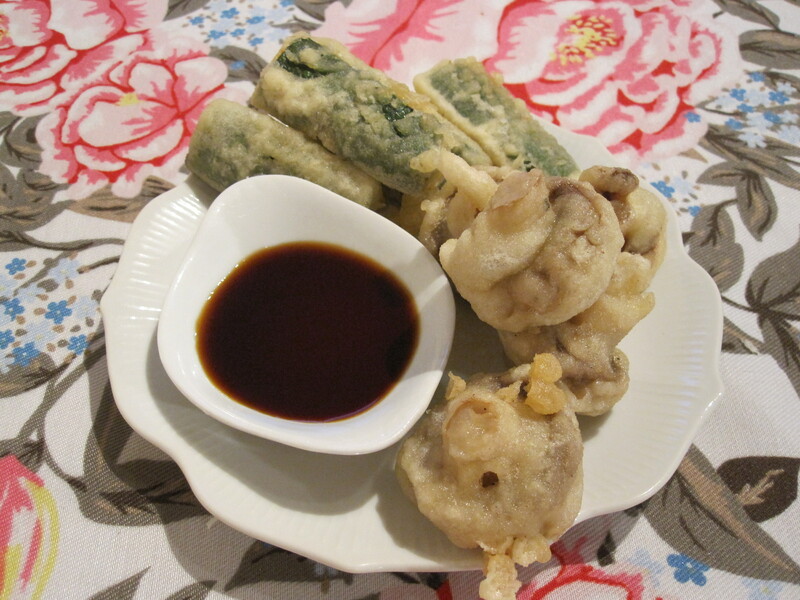 – Serve on its own for a starter or with a bowl of plain rice for a main and tsuyu or soy sauce to dip.